It was more than a little busy and we had to wait quite a while to get in. 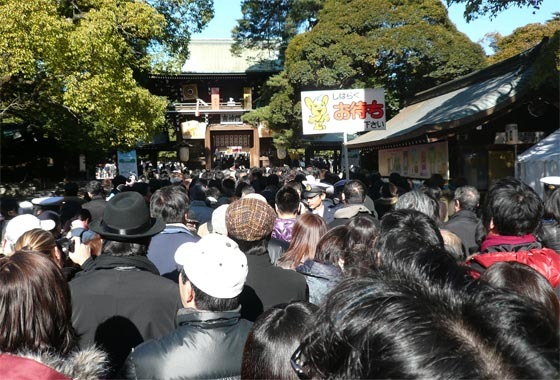 People flock here at the start of a new year to pray for fortune in the year ahead. 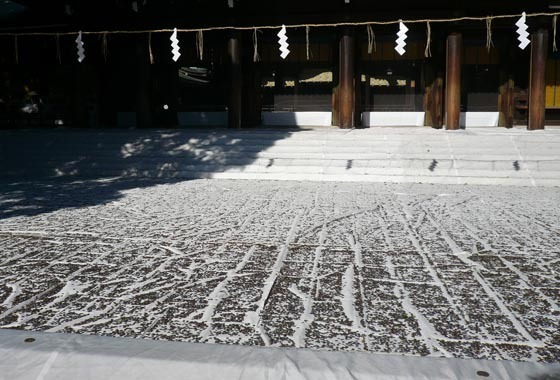 A massive white cloth was draped over the steps and ground in front of the temple to catch all the coins being thrown as offerings. 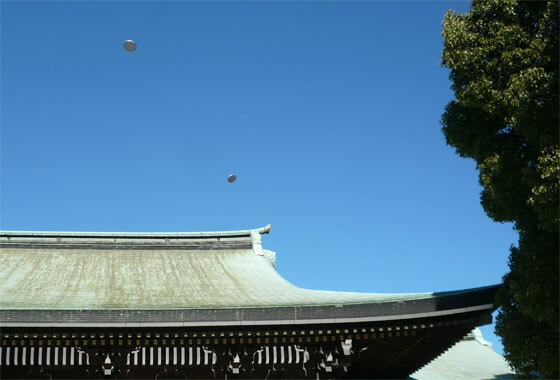 On our way out of the shrine we invested in a little prayer block and wrote down our wishes for the year ahead. I’ll include more pics in my full day post!